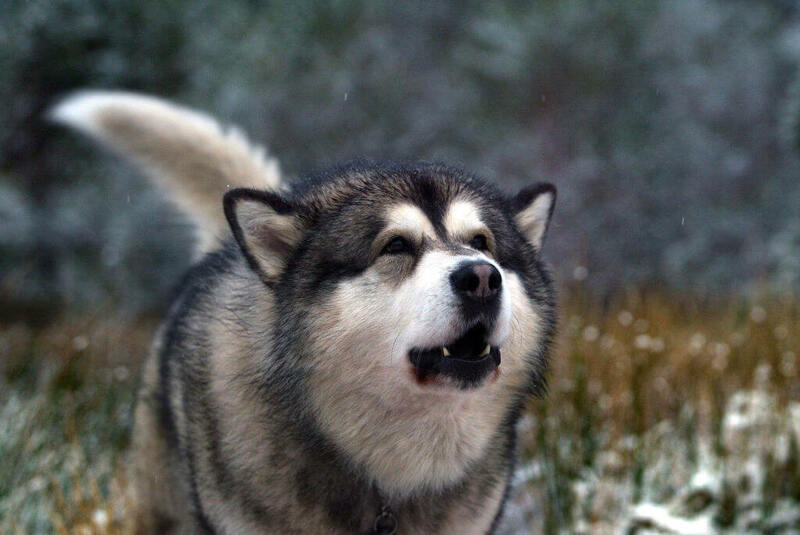 Just because a husky is more readily available to handle the cold doesn’t mean they should have to. 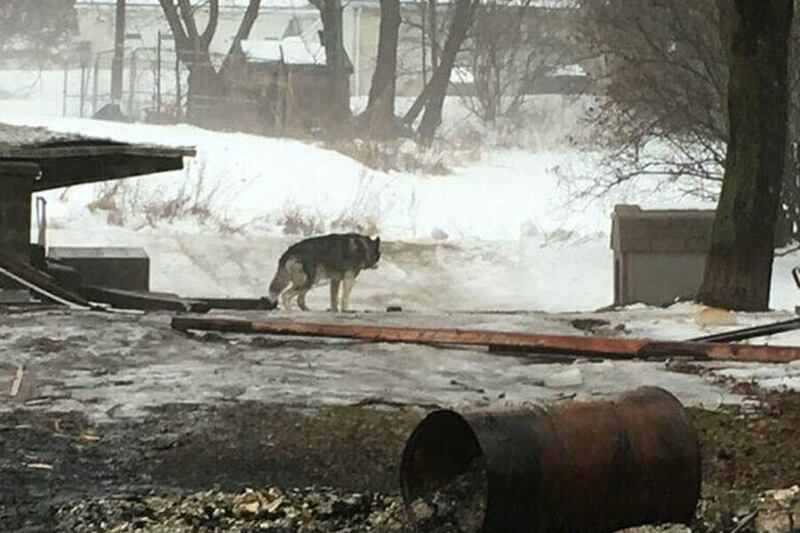 For 15 years, one husky in Pennsylvania only knew the cold. This poor pup had been forced to live outside his house in the freezing East Coast winter, no hope beyond the horizon. Luckily for Cloud, fate had other plans for him. 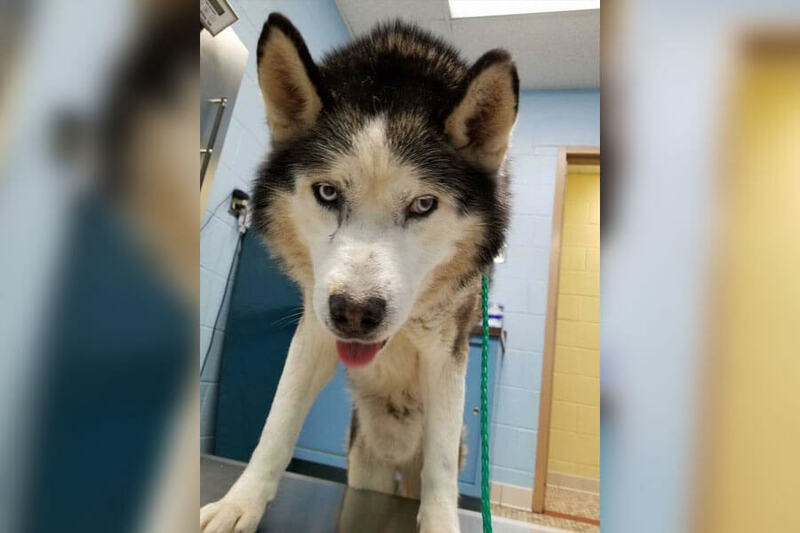 All it took was a freak accident for this Siberian husky to get his beautiful second chance at life. Start reading to learn all about Cloud’s harrowing journey to happiness! The emergency call wasn’t about Cloud. 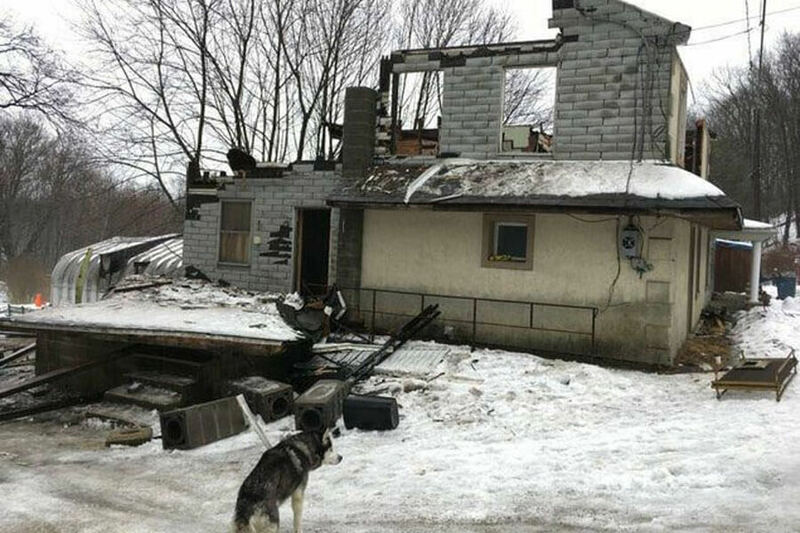 Rescue workers discovered the 15-year-old Siberian husky after arriving on the scene of collapsed house in New Philadelphia, Pennsylvania. The last thing they expected to find was a dog! When they arrived at the address, the workers found Cloud chained up outside of the fallen house. He was tied to a weighted chain with very little room to move around. Suddenly, the well-being of Cloud became far more important then the old, empty house. 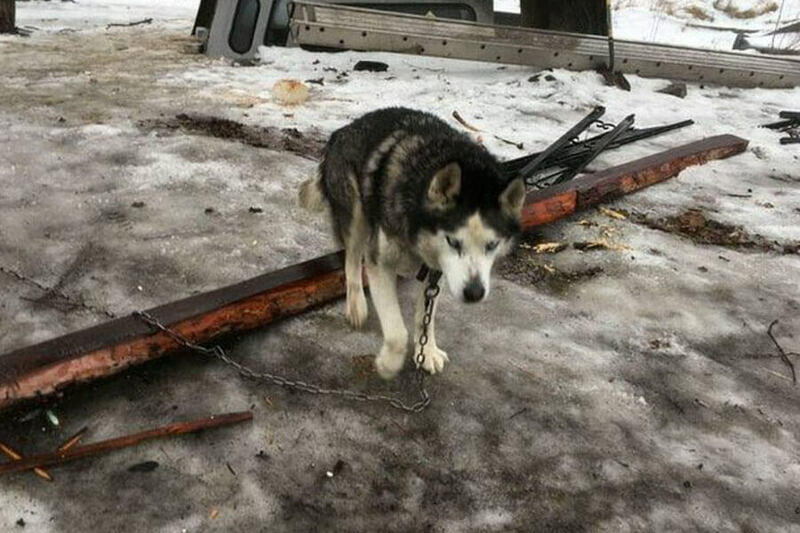 Cloud was not living his best life being chained up outside his home in New Philadelphia. 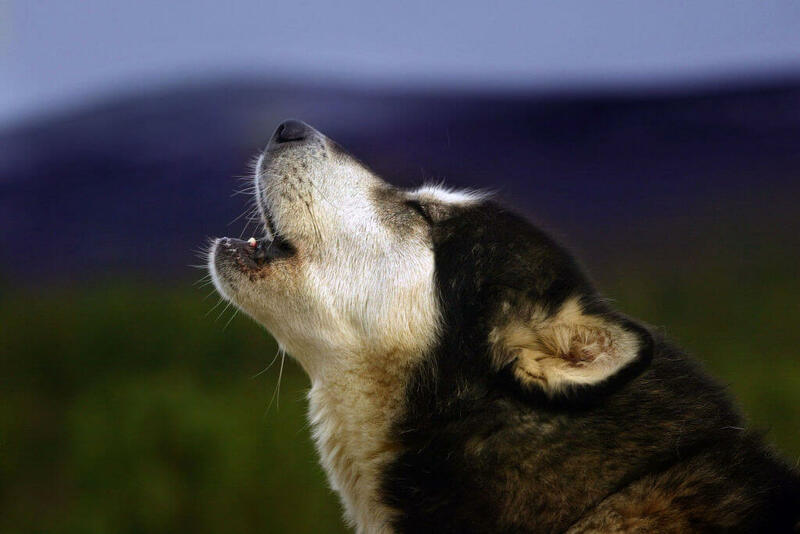 Thankfully, Pennsylvania has strict welfare laws that would play a role in saving the sad dog. 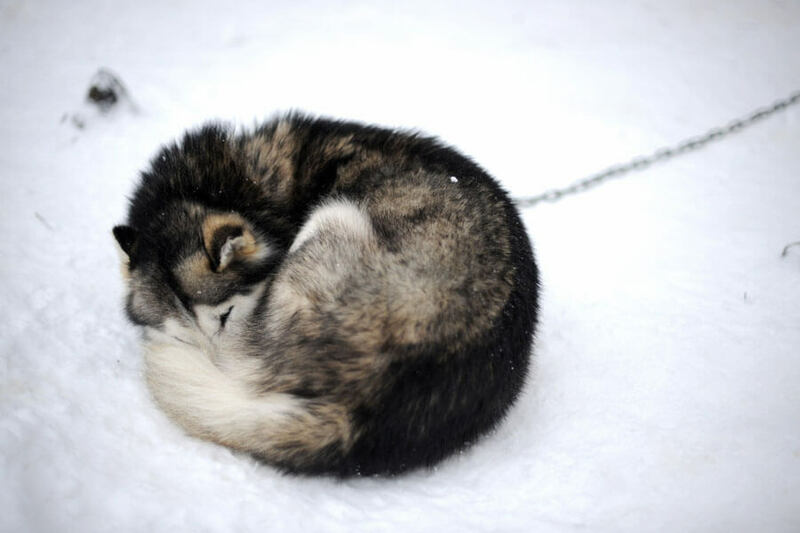 According to laws in the Keystone State, no animal is allowed to be chained up for more than nine hours a day. As the weather gets cold, those numbers decrease. Once the temperature hits freezing or below, nine hours becomes 30 minutes! Next, find out what Cloud was using as a shelter. It was clear to the workers that Cloud was being chained up illegally. Even worse, because of how his prison had been set up, the dog was forced to stand in his own waste. In the cold winter months, Cloud had nothing to stay warm. The only thing he had was a cracked truck roof to hide under during storms. The conditions were absolutely unlivable and the emergency workers knew that had to doing something to save Cloud. Unfortunately, the rescue workers who were called about the collapsed house were not trained animal handlers or shelter workers. Acting fast, they called the SPCA, who determined that Cloud had probably been chained up his entire life. 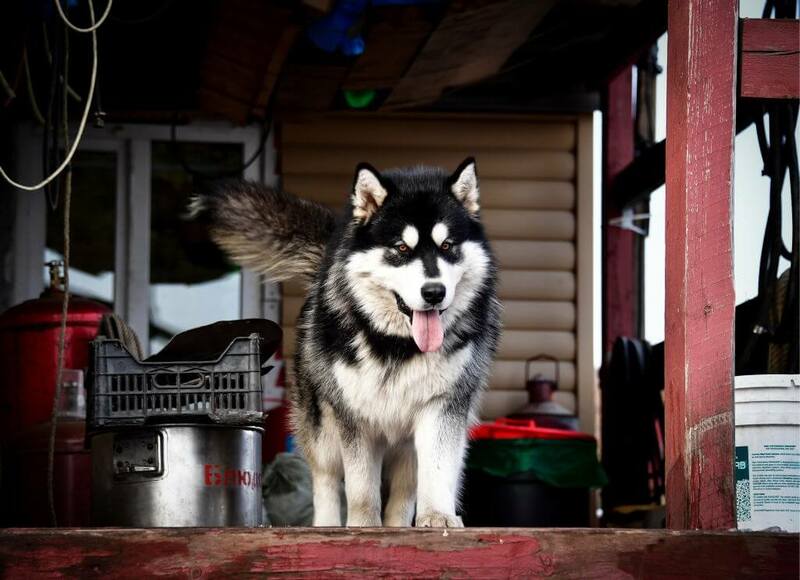 The team confronted Cloud’s owners, who gave the dog up to the SPCA after learning about their illegal actions. Cloud was safe for the moment, but after having been traumatized for so long, he still faced a long road to happiness. What happened what Cloud got to the shelter? Find out on the next slide! But most importantly, Cloud was still alive, and at 15 years old, still ready to fight for his life, no matter how long the battle took and how hard it was going to be. Once Cloud was at the SPCA, they called in a veterinarian to examine him. Because of the conditions he was rescued from, it was hard to look at him and be able to see everything that could be wrong. The examination showed that Cloud was deaf. Not only that, after inspecting his lump, that learned it was a tumor. Being an older dog, surgery to remove the tumor was considered too dangerous. Was this dog’s path to redemption already over? Still ahead, the SPCA takes a chance that just might work! Cloud had a hard time adjusting to shelter life. Workers grew more an more concerned everyday by his strange routine. When Cloud was awake, he was would pace back and forth until he fell down. Every waking hour, this was the poor dog’s routine. The workers could tell that shelter life was not going to help Cloud. They weren’t ready to give up on Cloud either and were left with one option. With hope running out, the SPCA reached out for help. Eleanor Garrett agreed to foster Cloud. She took him home with her, but he didn’t adjust to his new surroundings right away. It was going to take more than a new family to rehab this dog! In a few slides Cloud makes a decision that will change his life! The more Eleanor and her three children tried to show Cloud love, the more he pushed away. He refused any interaction with the family, preferring to pace in his own area or find a corner to hide in. The concerning behavior was testing the limits of Garrett’s patience. Cloud wasn’t being easy, but he didn’t have an easy life. 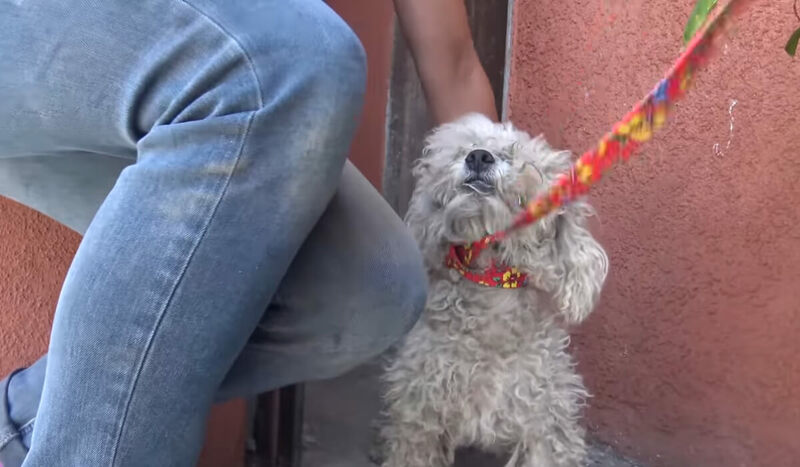 There was no reason for him to trust anyone after living chained up outside for 15 years. After being in the house for a while, Cloud found a place to hide. He worked his way into Eleanor’s laundry room and knocked everything over. She said it looked like he was trying to get behind the dryer to hide. Instead of intervening, Eleanor let Cloud do as he pleased. She said even though he stayed like that for 24 hours, it was better to let things play out. She didn’t know what to expect next, but what did happen made her fall in love with Cloud. Eleanor was grabbing something when a miracle happened, “I was in my laundry room getting something, and all of a sudden, I felt this little swipe of a paw on my foot.” Cloud wanted to get Eleanor’s attention, but why? It took a while, but Cloud was starting to trust the Garrett family. He seemed to understand that the family was friendly, and in turn they were trying to keep him safe. From that moment on, things only got better. Eleanor was in shock and how amazing his demeanor change was. 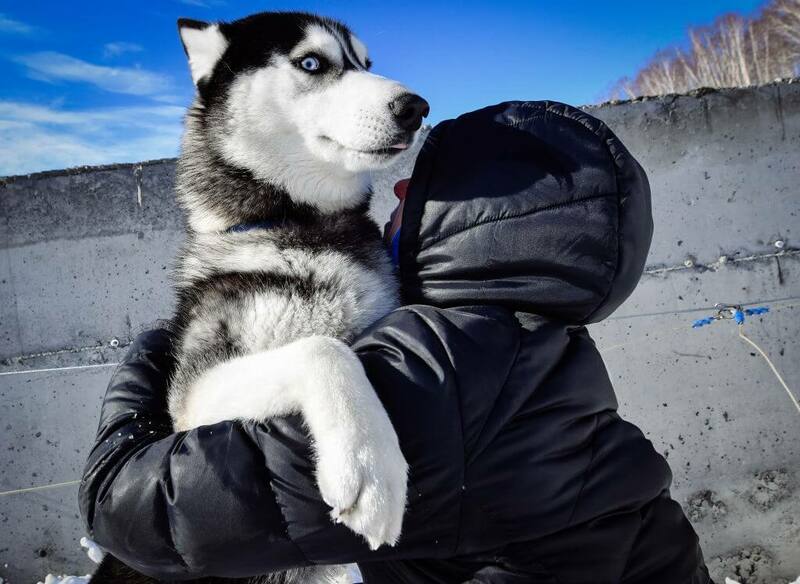 He was suddenly like a puppy again, looking to get love and give love back in return. There was still just one little problem. Still ahead, Cloud has one last hurdle to clear on his road to happiness! Even though Cloud seemed to be adjusting to his new life indoors, he still went to the bathroom outside. Every time he went outside to relieve himself, he wouldn’t come back in. The family had to go out and retrieve him. Helping Eleanor out in her journey to take care of Cloud were her six other dogs. Without them, she’s not sure her efforts would have been enough. “It was almost like my dogs taught him how to be a dog and how to act,” she said. 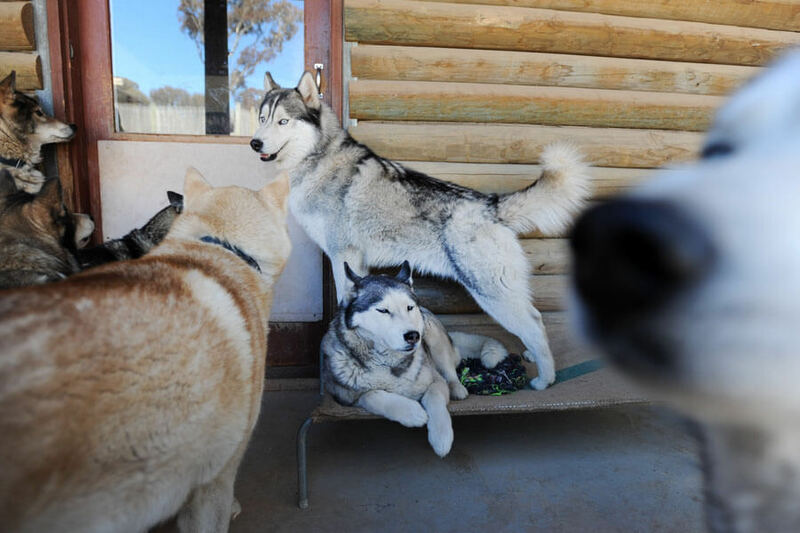 Cloud may have been the senior dog in the group, but he had never been able to be a puppy and learn the basics. With the help of his new friends, the adult was able to become a child again. As much as Eleanor was falling in love with Cloud, she never planned to keep him. Having six dogs and three children is hard enough. She wasn’t ready to have that number grow by one. Then the phone rang. A couple wanted to meet Cloud. Would they be a match? Would Cloud be okay moving into a new home? To the relief of everyone involved, there was an instant connection with Cloud and the couple. 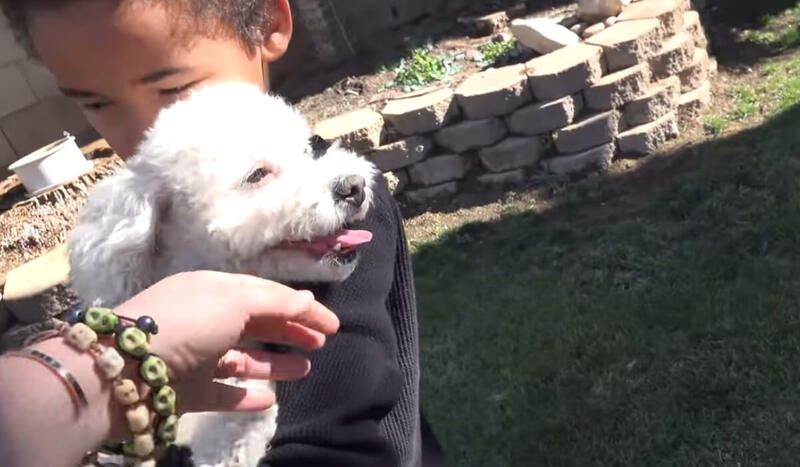 Before the couple could adopt Cloud, they had to meet him. The husband approached the dog first, leaning down to pet him. Cloud said hello with a big wet dog kiss! After that moment, everyone knew Cloud had found the perfect knew parents. The husband, who was a little hesitant at first, said, "All right, we can do this. We’ve got to take him. We’re definitely taking him." And true to his word, the couple took him, growing their family by one. As the couple left Eleanor’s home with Cloud, their attention turned to how Cloud would react to his new home. Remember, he never settled into the shelter, and then took a very long time to trust Eleanor’s home. When he entered his new home, he took to it right away. He was the king of his new castle and love his new family. He adjusted so quickly it was almost like he adopted them instead of the other way around! One of those small pleasures they crossed off the list early was going on walks. “I don’t think he’s ever been walked before and he loves it,” they said. The family also got their newest member a special orthopedic bed to help him relax after his adventures. Not every dog has its day. Cloud was close to being one of those heartbreaking stories. Instead, he was given a second chance at life after being given a safe and loving home for the first time. These days, Cloud is living his last days in the lap of doggy luxury. He’s so lucky, and we’re pretty luck for learning about his uplifting tail. If you’re thinking about getting a new dog, don’t forget that senior dogs need loving homes, too! Each and every animal deserves a loving home. But sadly, not all animals are given one. Sometimes, cats and dogs end up on the streets, wandering aimlessly, attempting to fend for themselves. Yankee the poodle was one of these poor animals. Keep reading to learn about Yankee’s incredible turnaround. 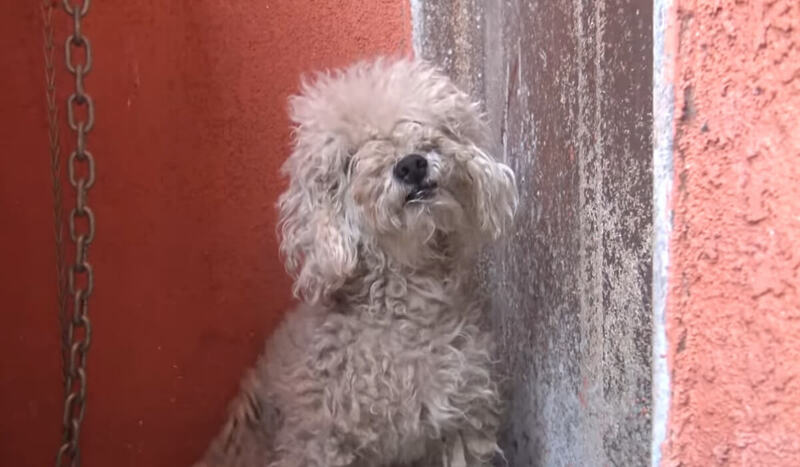 Yankee the poodle was living on the streets of Los Angeles, California. Although no one is sure just how long Yankee had been homeless, locals had seen him wandering around, fending for himself for some time. It was clear that Yankee was struggling to make it through the day. He would search tirelessly for scraps of food to eat and water to drink before retreating to an alleyway to rest. 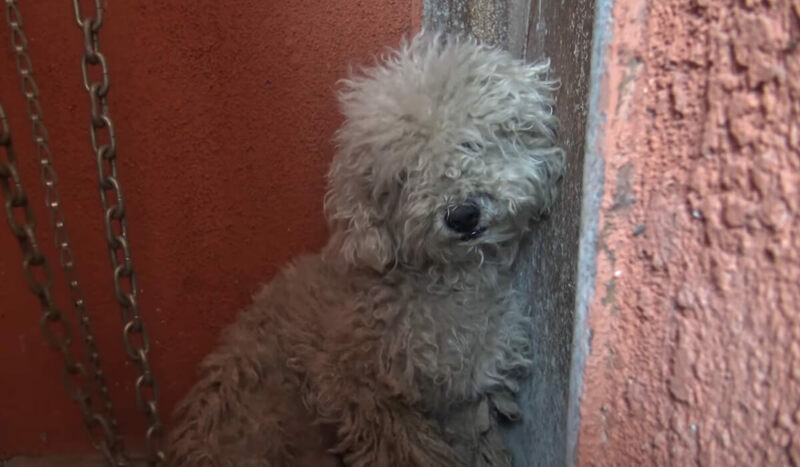 By now, Yankee had been living on the streets of Los Angeles for a while so some of the locals recognized the scraggly-haired pup. Many of them would bring him food and water to eat, but no one had been able to give him a forever home. Sometimes locals would try to catch Yankee but he would run away or retreat into his safe spot in the alleyway. It was clear that Yankee needed help, but would he ever accept help? Recently, the locals noticed that Yankee no longer seemed interested in eating any of the food they would bring him. They started to think that he might be on the verge of passing away. Although the locals who knew Yankee couldn’t give the sweet pup a forever home, they knew they needed to find someone who could. With the change in his demeanor, they were worried he might be injured or sick, so they called Hope for Paws. 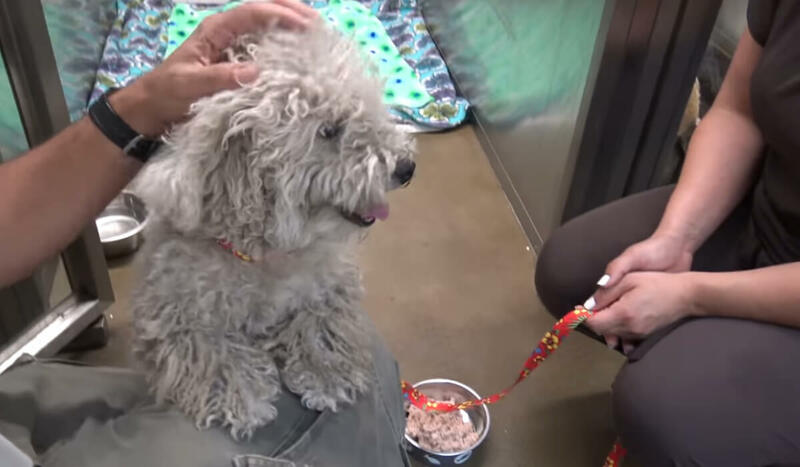 Hope for Paws received a message about a homeless poodle that was possibly injured. They were interested in helping Yankee immediately and sent a rescue team his way. 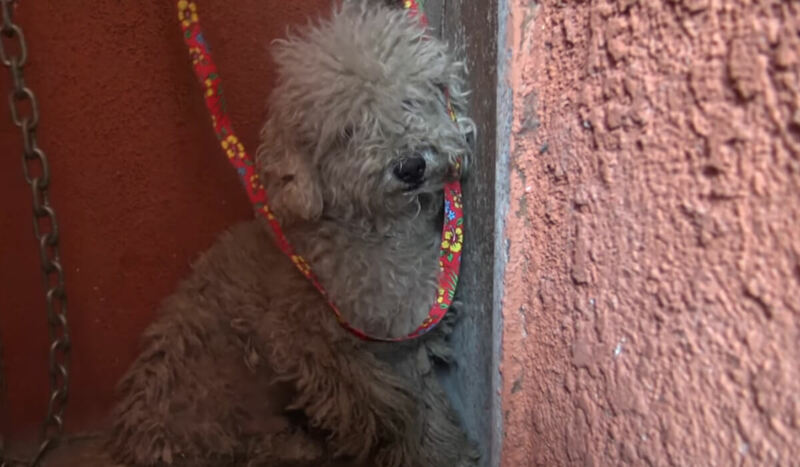 Two volunteers had just finished another rescue and rushed to find the poodle. When they arrived, it was clear that Yankee wouldn’t last much longer on the streets. By his demeanor, he’d already given up. 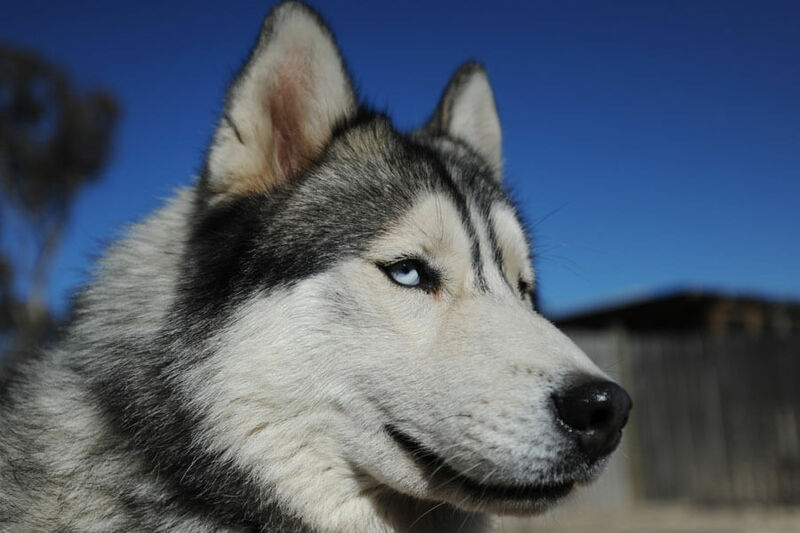 Although Yankee had a sweet demeanor, he’d grown to be wary of strangers. Even though Hope for Paws was there to help, it took a while for the poodle to warm up to them. The volunteers approached Yankee, who was lying defeated in the corner of the alleyway. 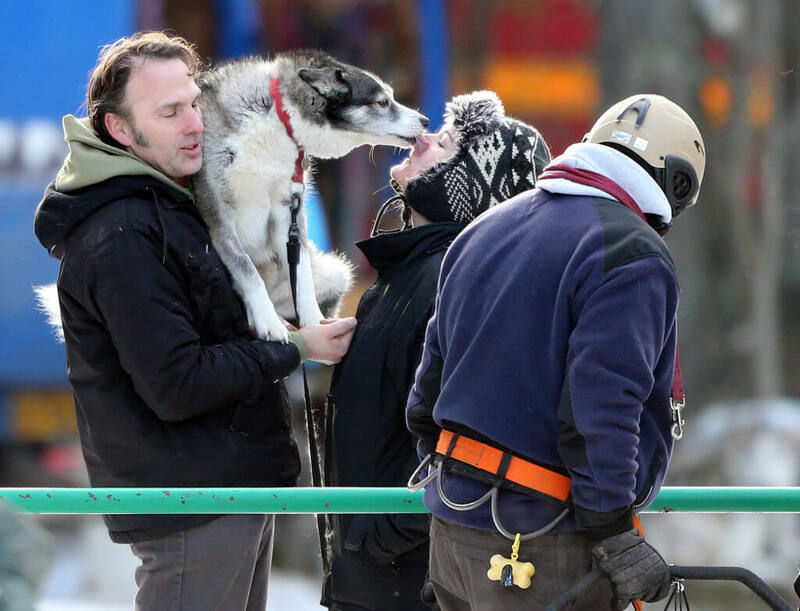 At first, Yankee didn’t even move as they approached — but when they tried to put a leash around his neck, he retreated. Yankee was understandably afraid of the volunteers from Paws for Hope. After all, humans hadn’t been much help to him so far, so why should he believe these people were any different? The volunteers had lots of experience dealing with stray dogs who were nervous and untrusting of humans. Thanks to their prior work with pups in need, they knew getting Yankee away from the alleyway he now called home wouldn’t be a walk in the park. Luckily, the volunteers were persistent in their pursuit to get Yankee to a safe place. After some coaxing, they were able to get a leash on the pup and walk him out of the alleyway. 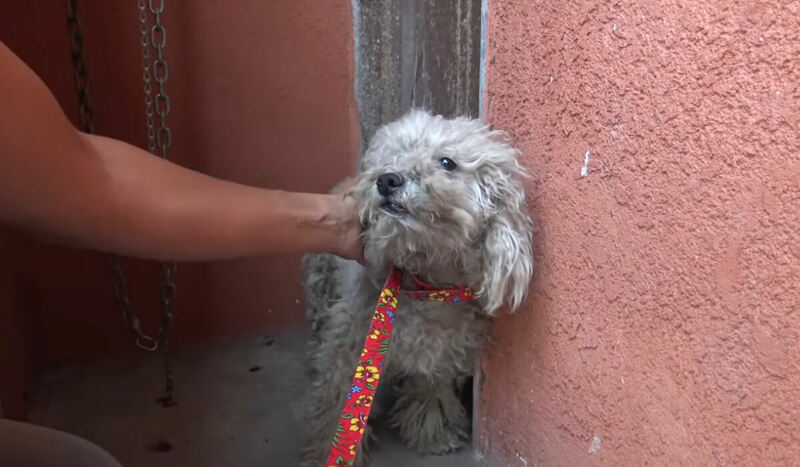 Knowing Yankee would likely retreat into the alleyway the first chance he got, the volunteers gently scooped him up and carried him slowly to the rescue van. As they were walking back, a local woman walked up and started patting Yankee on the head. She said she’d been trying to help the pup for a few days but he was afraid of her. She was so grateful for the Paws of Hope volunteers. Once they were in the van, the volunteers gave Yankee an initial check-up, looking closely for any blood, bruising, cuts, or scrapes. Luckily, Yankee didn’t show have any noticeable injuries, which was surprising considering he had been wandering the streets alone for some time. 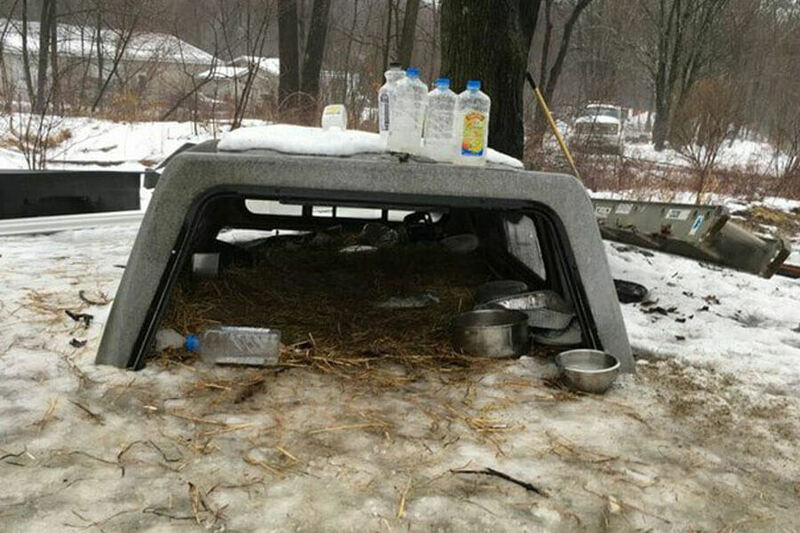 But Yankee was in dire need of food, water, and a nice warm bath. The volunteers were so excited to give Yankee the love and care he deserved, but Yankee was nervous. He was visibly shaking in the arms of the volunteer. 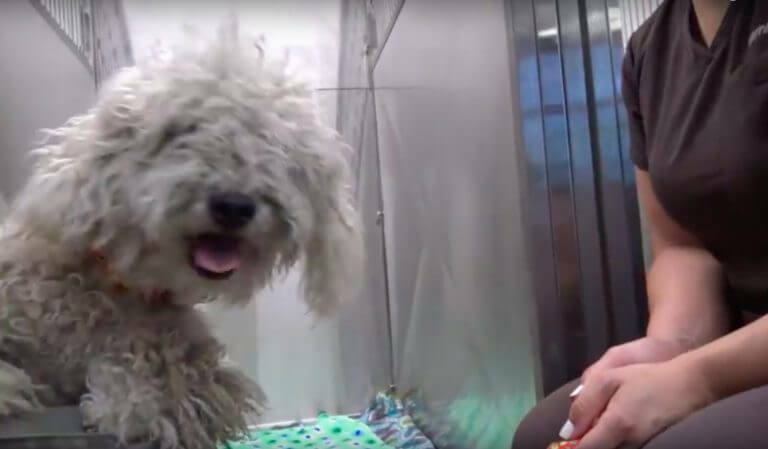 As the volunteers prepared to head back to the rescue hospital, they opened the hatchback of the vehicle to crate Yankee, but the poodle was hesitant. After some more coaxing, the volunteers were able to get Yankee loaded into the rescue van and begin their drive. While in the car, the volunteers made sure to soothe Yankee as much as possible. Within a few minutes, the pup settled in and even started opening up a bit. The volunteers had placed Yankee in a crate in the back of the car but left the door open in case he wanted to move about. 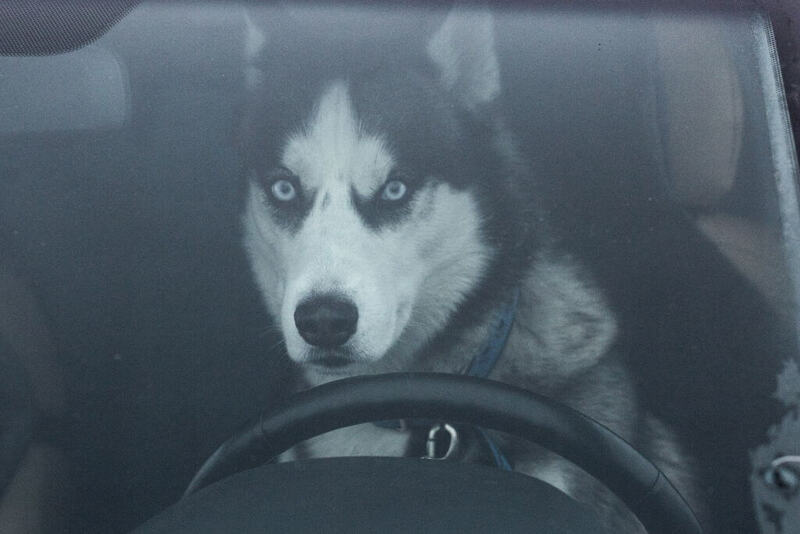 About halfway through the drive, Yankee slowly crept from the crate and even moved to the back passenger seat to sit next to one of the volunteers. From the looks in Yankee’s eyes, the volunteers were hopeful that this meant he was warming up to them and that he knew they were here to help. Still, Yankee had a long road ahead of him. Now that Yankee was safe in the care of the volunteers, it was time to get down to business. First up on the list was a trip see a veterinarian. Since Yankee had been on the streets for some time, he definitely hadn’t been to the vet in a while. There was no way to tell if Yankee had heartworms or some type of nasty infection brewing, but the volunteers were hoping for the best. To everyone’s relief, Yankee received a clean bill of health from the vet. He tested negative for heartworms and didn’t have any infections. He also hadn’t suffered any serious injuries while he was living on the streets. Yankee had however developed some seriously matted fur. One thing was for certain — he needed a bath and proper grooming! 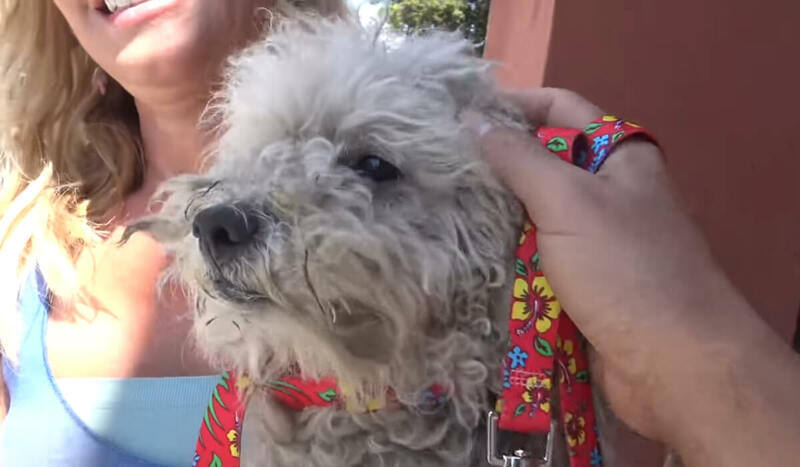 This sweet pup’s transformation is truly nothing short of incredible! When the volunteers left the vet with Yankee, their next mission was to finally give the sweet pup a bath and proper grooming. But as they tried to clean Yankee, they realized his trust issues were worse than they thought. 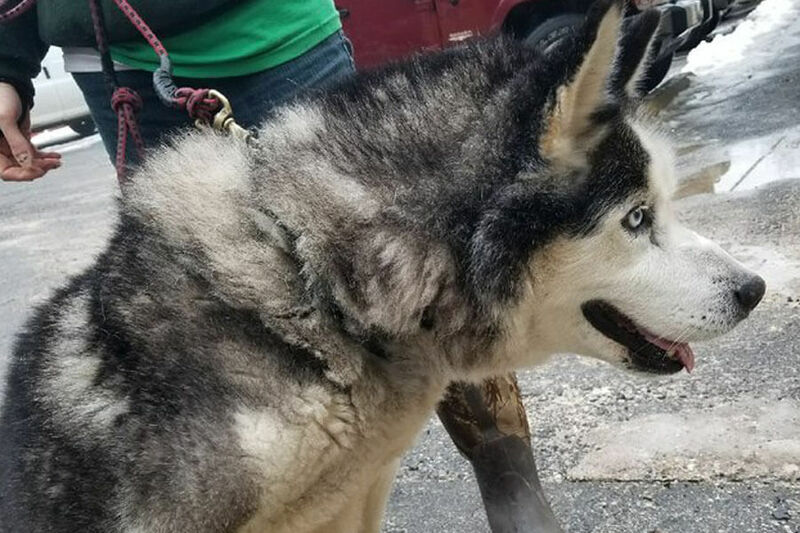 Having worked with numerous neglected pups in the past, the volunteers weren’t surprised by Yankee’s trust issues at first, but their next realization left them all heartbroken. Although the volunteers were experienced handling dogs who were afraid of human, Yankee was a little different. After spending a few hours with him, they realized he had likely received little to no affection at all throughout his entire life. The sweet pup had never been properly loved, cared for, or socialized. But now, Yankee was finally going to get the care he so desperately needed and deserved. When the volunteers arrived with Yankee to the rescue hospital, the pup continued to shy away. Yankee was more subdued than ever, but he did seem to know that these people were all there to help him. Soon enough, Yankee finally started to open up. 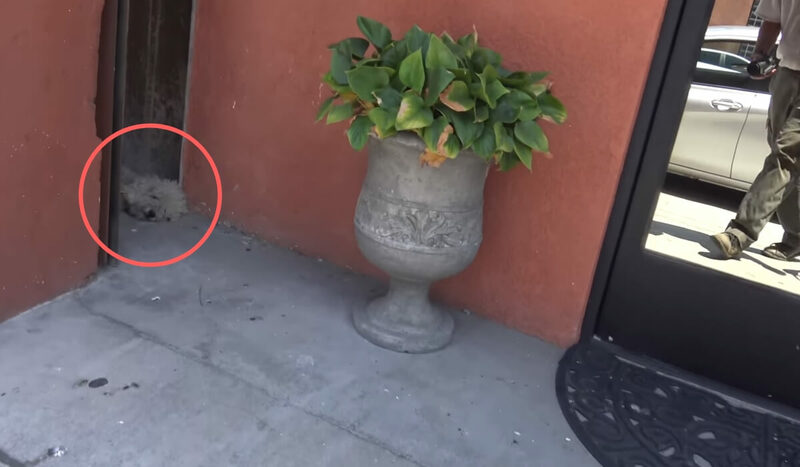 He seemed to finally realize that the volunteers who picked him up from the alleyway, the vet, and those at the rescue hospital were all there to help him. 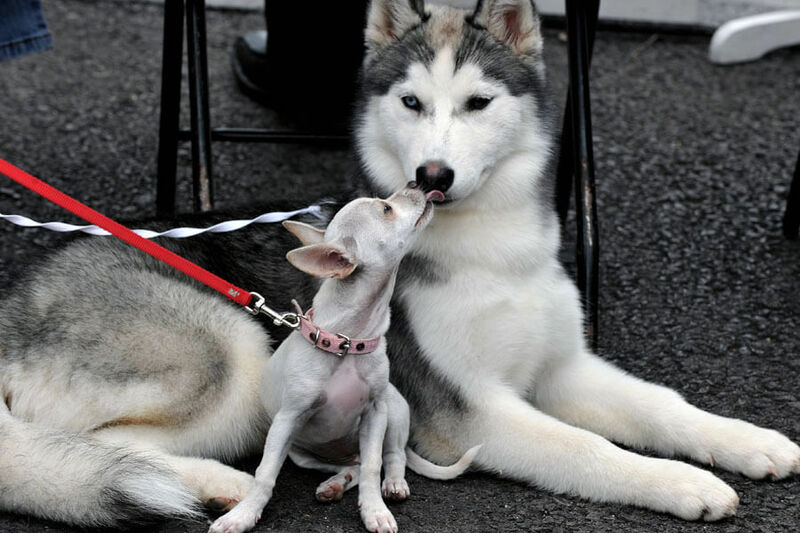 Although no one knows too much about Yankee’s past, it was clear that this was likely one of the first times he had ever received affection in his life. Yankee spent the next few weeks making a full recovery at the rescue hospital. Now that he had proper food, water, and hygiene, he was starting to thrive! Being around humans and other animals all day was really beneficial for Yankee. Slowly but surely he was opening up to others. 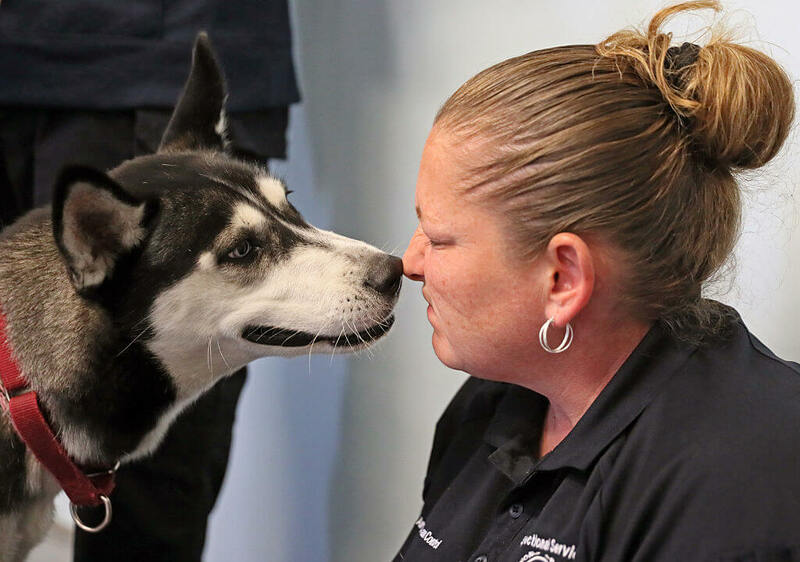 Although the volunteers who had rescued Yankee and helped give him a second chance at life were attached to the pup, they knew the next step was to find him a foster home. Before they knew it, the time had come to start looking for a foster home for Yankee. Now that he was well enough, Yankee was able to leave the rescue hospital. Yankee was released to a foster home from the Rescue From the Hart organization. At his foster home, he met a young boy who wanted Yankee to become a part of his family forever. Just a few weeks before, Yankee had been living on the dirty streets of Los Angeles with little food and water. 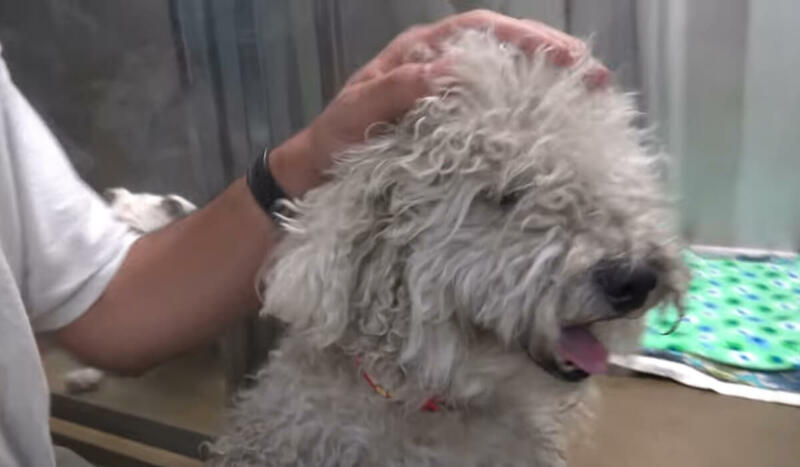 More than that, the poodle had received so little affection and socialization in his life that he was terrified of humans and even resisted their help. But thanks to the kindness of strangers, Yankee was now healthy and happy. He also had a new best friend! 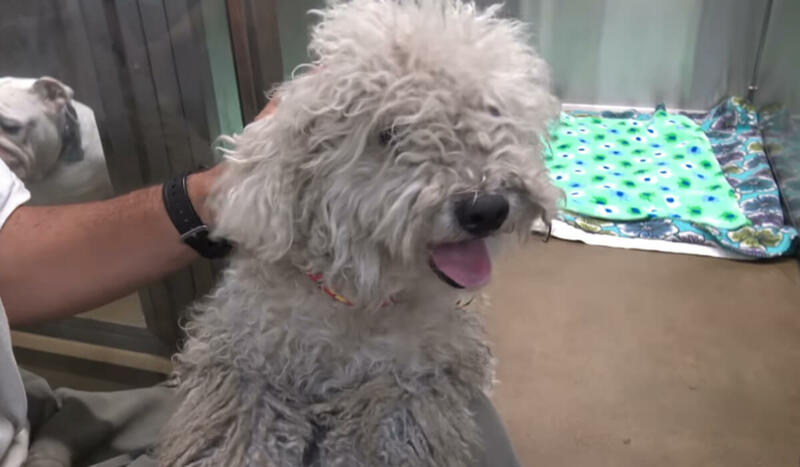 It seemed like only yesterday Yankee was living in fear of humans, but now the once-homeless poodle had made a 180 in his life. He even found a new best friend! The foster family that adopted Yankee had a young son, who fell in love with Yankee. Eventually, the boy and the pup became best friends. Now, Yankee’s personality was really shining. Even better, he now has his own backyard to run around in! Would you look at the smile? You can’t fake that kind of happiness! 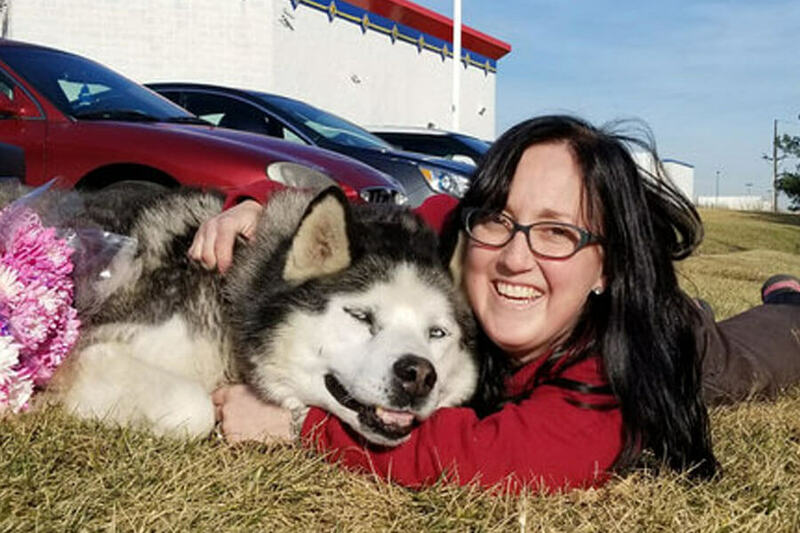 It’s almost hard to believe that this photo of Yankee and his new owner was taken just a few short weeks after he was rescued. Finally, Yankee had found his forever home and he was truly thriving. After a lifetime of being alone, he was finally getting the love, affection, and care he so dearly deserved. Are you ready to see the incredible before and after photo of Yankee? It’s coming up soon! 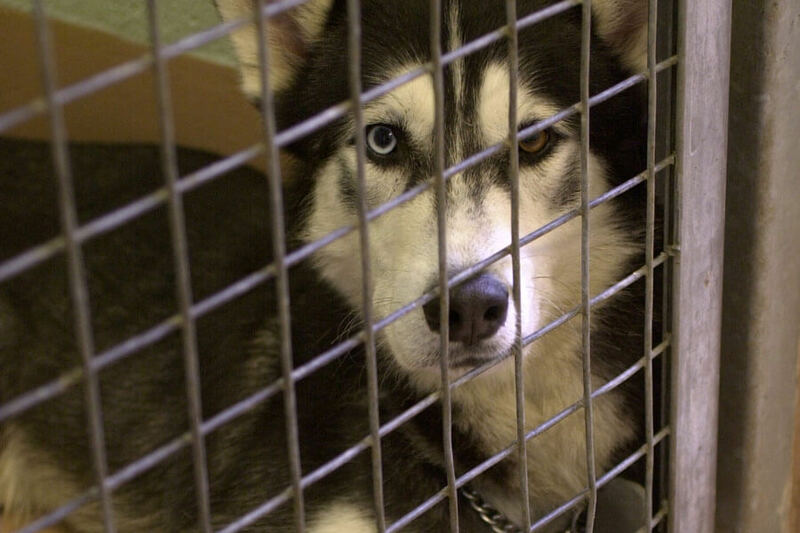 Anyone who works with animal rescues knows how hard it can be for animals to transition to a new home. Just because you know they’re receiving the best care and are in a safe environment, doesn’t mean they know they are. But Yankee seemed to be an enigma. The sweet pup only got more social as time went on! He made a quick transition into his foster family and was truly the perfect addition. This before and after shot of Yankee is nothing short of awesome. It’s hard to believe that these photos were taken only weeks apart. But it just goes to show how far a little compassion and kindness can go. If it weren’t for the amazing rescue volunteers, who knows what may have happened to Yankee. 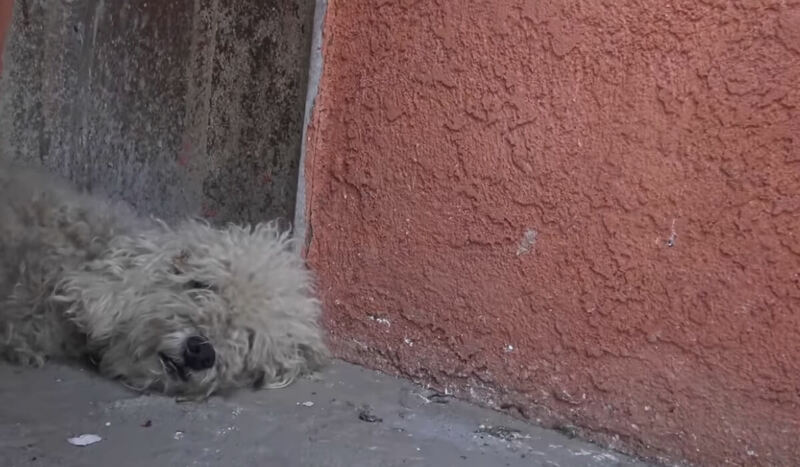 But now, this poodle has a new chance at life. We think his face says it all!